From new tastes to new sounds to new adventures, each year the Delaware beaches get better and better. There is so much new to try for 2017. Using the list below, your visit this year is sure to be unlike any of you&apos;ve had before. Highway One Presents Hudson Fields – National acts minutes from the beaches. The owners of Dewey Beach’s famous Bottle & Cork are opening a 4,000-person outdoor concert space right off DE-1. The first big show is Old Dominion, 2016 Academy of Country Music New Group of the Year, on June 1. Lefty’s Alley and Eats – A great option for beating the heat, relaxing after a day on the beach or keeping the fun going on a rainy day. The new entertainment center features more than a dozen bowling lanes, a two-story arena for laser tag, plus four 20-by-12-foot televisions. The culinary team behind some of the beach area’s best restaurants, like Fork & Flask at Nage, is handling food for Lefty’s bar and restaurant. 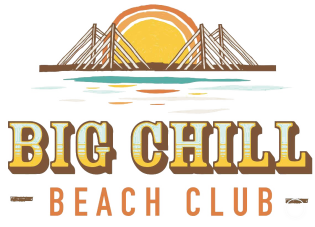 Big Chill Beach Club – Delicious food and drinks with one of the best views Delaware has to offer. The Indian River Inlet will be the home of a rooftop restaurant and bar with a 360-degree view of the ocean, bay and beautiful Indian River Bridge. When it opens this summer, the new can’t-miss spot for vacationers will feature an umbrella bar, fire pit/game area and beach amenities. The Blue Hen – A combination of one of Rehoboth’s best hotels with one of its best restaurants. Henlopen City Oyster House’s team is creating a new culinary gem at The Avenue Inn, which opens in March. It will focus on boutique wines, craft beers and the same quality of food that makes the Oyster House a consistent favorite. Salted Vines Vineyard & Winery – Grown in the salt air and fresh from the vine. The former Fenwick Wine Cellars has opened a new location just a few miles from Bethany Beach. The Delaware Beer, Wine & Spirits Trail stop has a new tasting room and larger vineyard for amazing sampling throughout the summer. Dogfish Head Brewing & Eats – A fresh take on an old favorite. The original location of one of Delaware’s most beloved brands, Dogfish Head Craft Brewery, is getting a whole new look. Even if you’ve been to this Delaware Beer, Wine & Spirits Trail favorite one hundred times, summer 2017 brings a great reason to check it out all over again.